If you can write your name, you have enough touch to learn to draw. Let Mark Linley inspire you to pick up your pencil and create a magical masterpiece. His positive approach secures quick, accurate results and ever-growing confidence. Learn to look properly and get the basic outlines correct; include the key features but simplify what you see; understand how shading (such as dot stipple or cross-hatching) can transform a sketch; get the eye level right and see how a grid helps with the composition. 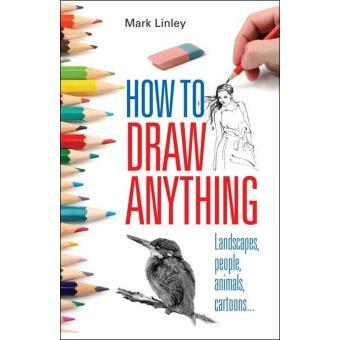 Whatever you want to draw – a beautiful holiday scene, a lifelike portrait of your family or favourite pet, or even a funny cartoon to illustrate a birthday card – Mark Linley shows, in this new edition of his bestselling book, everything you need to succeed.